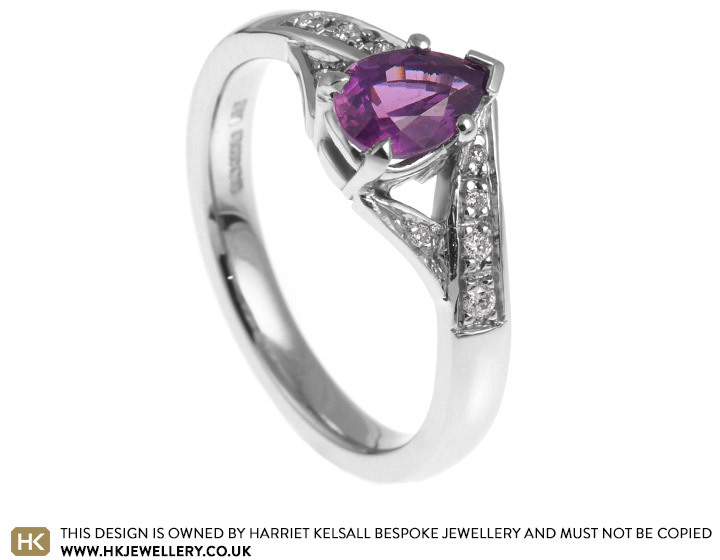 Rob came to visit the studio to design Felicity an engagement ring.Rob knew Felicity wanted a purple sapphire so we sourced some for him to view.Rob chose this stunning 0.9ct pear shaped pinky/purple sapphire which was set into a five claw palladium setting.Ten diamonds were pave set into the palladium split shoulder design to finish off this dramatic modern design. 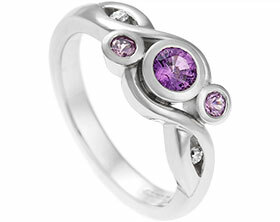 18ct white gold Celtic inspiredengagement ring. 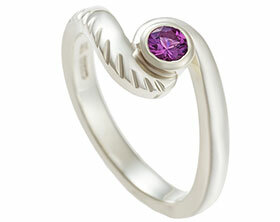 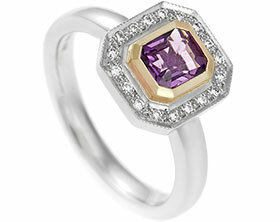 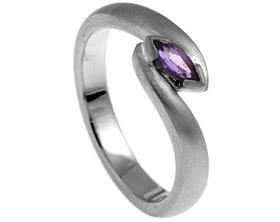 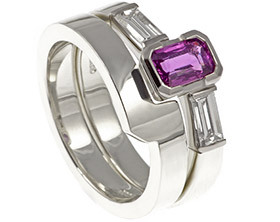 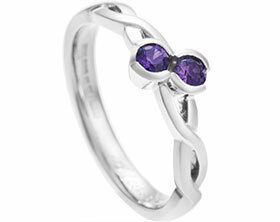 Palladium engagement ring with a 0.12ct purple sapphire. 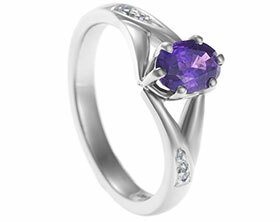 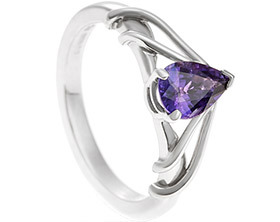 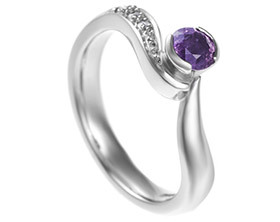 Palladium violet sapphire and diamond engagement ring. 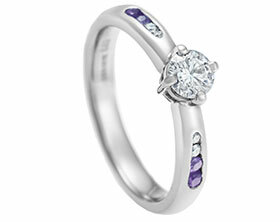 Palladium sapphire and diamond engagement ring. 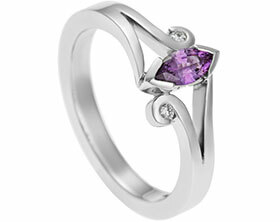 White gold engagement ring inspired by her maiden name. 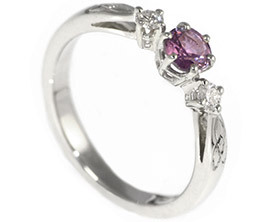 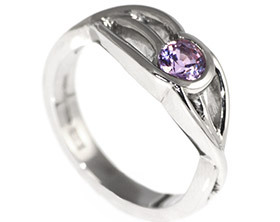 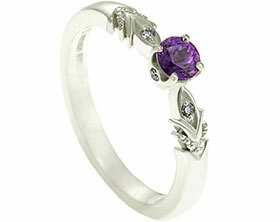 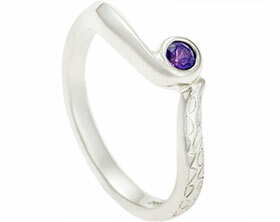 9ct white gold 0.46cts violet sapphire engagement ring. 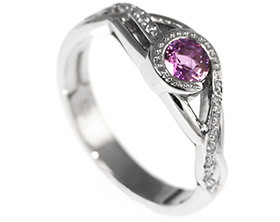 Bespoke 9ct white gold engagement ring with a 0.41ct lilac sapphire and H SI diamonds. 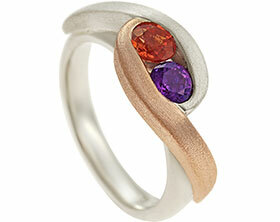 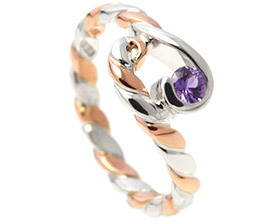 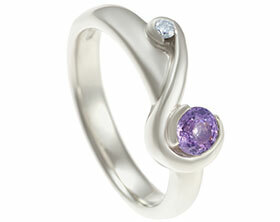 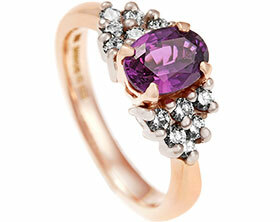 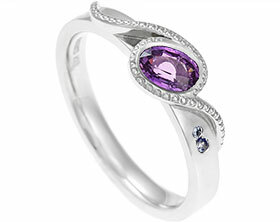 18ct yellow and white gold twist style engagement ring with lilac sapphire and diamond. 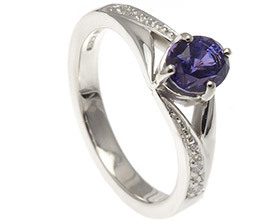 18ct night sky inspired ring with a brilliant cut violet sapphire. 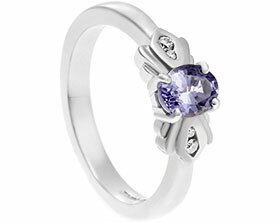 Violet sapphire and diamond engagement ring in 18ct white gold.